Bloomington, Ind. 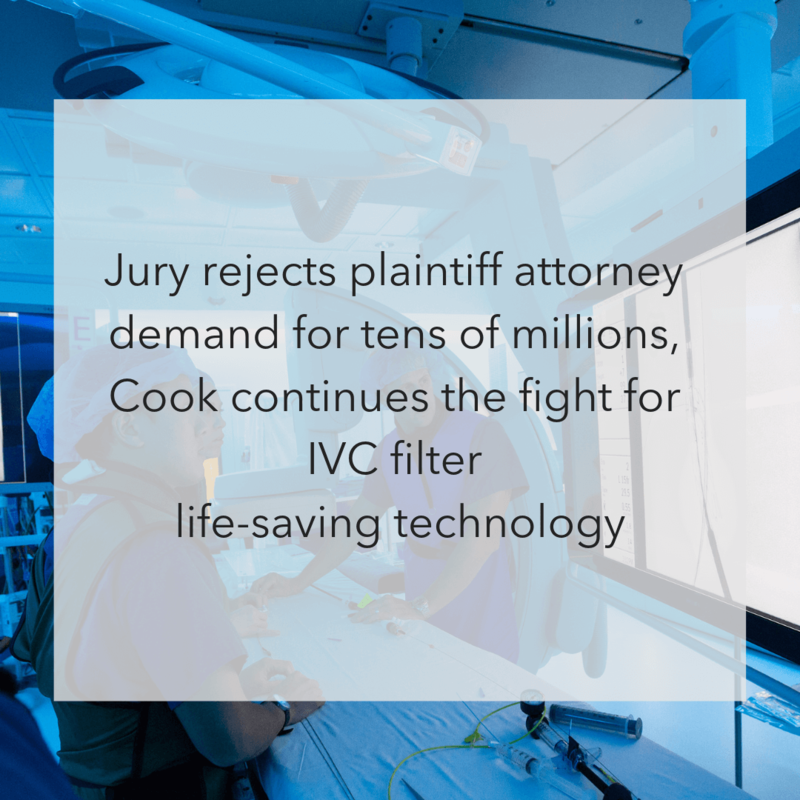 – Despite overwhelming evidence to support the safety and benefits of the Celect™ Vena Cava Filter, a jury in Indianapolis, Indiana, ruled in favor of the plaintiff. Cook plans to appeal the decision on multiple grounds. All medical devices have some level of risk. Physicians choose to use IVC filters based on the benefits of the device outweighing the small percentage of risk for patients that need to prevent potentially life-threatening blood clots. Every patient’s situation is different, and individual factors and risks must be considered when evaluating treatment options. 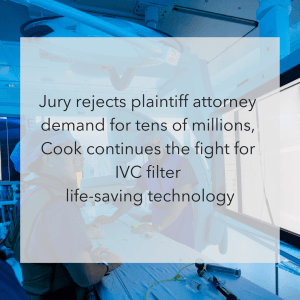 In this case, the plaintiff experienced a rare but known risk – filter fracture. The Celect IVC filter has a reported fracture rate of less than one percent.